It is with deep regret that NAC announces the sudden passing of long-time member Jody Bell. Last time we saw Jody was a few years ago in Tampa as she was Aramark GM at the Florida Aquarium where we held a Venue Tour during the 2012 Convention and Trade Show. Please keep Jody and her husband Nick in your thoughts and prayers. BELL, Jody, 61 of Tampa, passed away Wednesday, January 20th. She was born on December 17, 1954 in Los Angeles, CA and moved to the Bay Area four years ago. 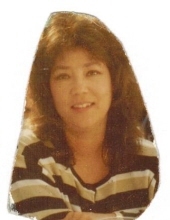 In the early 1970’s Jody started her career in the food services industry at Knott’s Berry Farm in Buena Park, CA. Recently Jody retired from Aramark as the general manager for the Florida Aquarium. She loved crafting and spending time with her 2 dogs, Samie and Howie. Jody is preceded in death by her brother, Steve. She is survived by Nick her loving husband; mother, Alcene Cain; brothers, Paul and his wife Gail Cain, Jon Cain; father and mother-in-law, Jim and Linda Paine; sister-in-law, Ruth Cain; brother and sister-in-law, Billy and Gina Elders; her nieces, Ashley, Rachel and Kylie; nephews, Rudy, Jr., Joshua, Matthew, Zachary and Dallas. A celebration of her life will be scheduled in Buena Park, California at a later date. Thank you for posting this for our NAC friends and associates. Jody was not only a co-worker, she was a dear friend, and will be greatly missed.